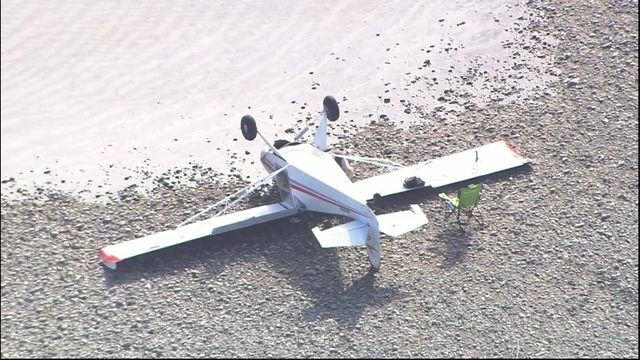 MONROE, Washington - Deputies are responding after a plane flipped over in Monroe. It happened around 10:30 a.m. near the Skykomish River at Riley Slough Friday. Video from Chopper 7 showed the overturned plane right at the edge of the slough. A camp chair was set up next to the plane and a man appeared to be inspecting it for damage. It is not yet known what led up to the crash.